either to perish or to carry out their [domands. j signing European dynasty.' "
An Albanian Revolt. London, Sunday Night. A inn tiny has taken pluce among the Albanians at Janina, an important town in Epirus, to which Saadeddin Pasha has been despatched to take command of the Turkish troops. The orthodox Moslems have left tho town, which is now in the hands of the Mohainedan . Arbanon was initially the name of a very narrow region –the territory around Kruja, which up to recent times preserved the historical name of Arbeni. This territory was one of the Albanian regions…and was also a religious diocese under the name bishopric of Kruja, set-up, according to tradition, at the turn of the VII century6. It bordered on the bishopric of Lissus which extended to Mat and Mirdita, and on the bishopric of Stefaniaka which included the regions of Tamadhea and Benda.7 When these regions passed over to the jurisdiction of Rome the three bishoprics merged into a single Catholic diocese ubder the name of Arbanon, diocesis arbanensis.8 In 1166 Arbanon had a prior (Andreas prior Arbanensis and a bishop (Lazarus episcopus Arbanensis)9. The title “prior” of the governor would correspond to an autonomous region, and the title of the head of the diocese assumes defined borders. Together they show that the extension of the name Arbanon for the territory and the name Arbanites for the people originated from the consolidated political and religious community of Arbanon that took shape during the preceding century. This is apparent especially during the existence of the Principality of Arbenia as reflected in historical sources at the end of the XII Century. During the rule of Archon Progon the name of Arbanon extended to the northern region of Pulti.10 Likewise during the rule of the Great Archon Demetrius it extended to Kanavia and Cernik in the south down to the Shkumbin Valley.11 The extension of the name beyond the historical borders of Arbanon most likely was due to inclusion of these regions in the state of the Arbanites. 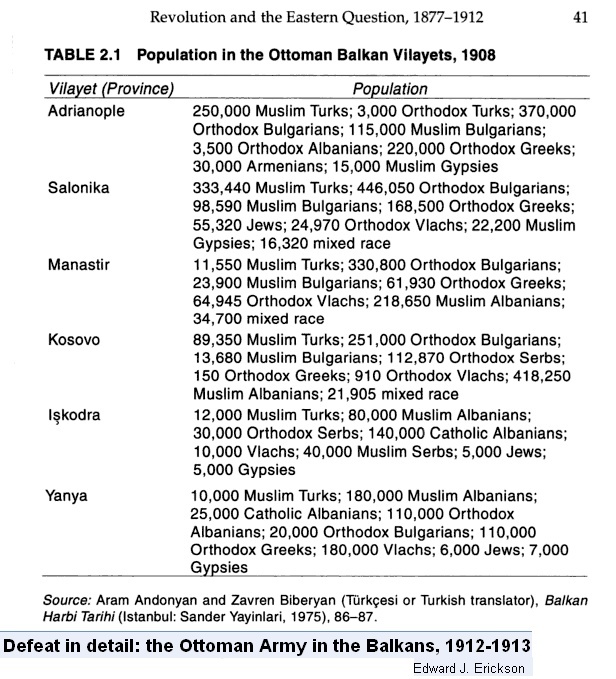 But for the Albanians, these denominations had the same meaning. They called themselves both Arbanites and Epiriotes. Skanderbeg provides the first testimony to this. In his correspondence with the foreign chancelleries he signed as: “Lord of Arbenia” Dominus Albaniae25; he calls his compatriots “arber” albanenses, albanesi,26 while in a letter on 31 December 1460 to the Prince of Taranto, J.A. de Orsino, he writes, “If our chronicles do not lie, we call ourselves Epiriotes” (se le nostre croniche non mention, noy in chiamamo Epirioti).27 Marin Barleti provides the second testimony. The humanist from Shkodra mentions the two ethnic denominations and makes no distinction between them. He calls Arber (albanenses) Albanians both inhabitants of Arberia and Epirus, and also those situated in Peloponnesus.28 He includes under the name of Epiriots the people of Kruja and Diber29 but also feudal lords of northern highlands like Leka Dushmani and Pjeter Spani.30 He calls Skanderbeg Epiriotes,31 but on some other occasions Albanian,32 but more often refers to him as the Prince of the Epiriotes (Epirotarum Princeps). Sometime M. Barleti speaks of Albanians and Epiriotes as two different ethnic groups,33 but this must be considered to be traces of the old concepts that lingered on. The third testimony is provided by Gjon Muzaka who also refers to the Albanians undiscriminantly as Albanesi34 and their language as lingua Albanese,35 while never mentioning the name Epiriotes. The use of a single name for the entire Albanian speaking population called for a unified geographic denomination. The process of realizing a unified name had to cope with four existing geographic denominations, two of which, Illyria and Macedonia, trace of archaic tendency, were eventually abandoned, while the other two, Arberia (Albanum, Albania) and Epir (Epirus, Epiro) vied for a long time with each other as two theoretically sanctioned geographic denominations: one through the existence of Albanian political formations, the other through its incessant use for nearly two millennia. In light of this quadrangle, a question arises regarding the problem of the Albanian territories during the XV century: whether the habitat of the Albanians extended beyond the quadrangle. The answer would require a discussion as to why the denomination Albanum, Albania was limited to the quadrant, and what other regions had were ethnically Albanian in the XV century. The same factors that determined the Albanian extension from the narrow area during the mid XI century explain the borders reflected by the above quadrant in XIV century. The latter border directly related to the state of the Balshas which came into existence during the second half of the XIV century. At first Balsha’s state included Slav as well as Albanian territories, with Albanian population providing the main political support. With their affiliation with the Western Church in 1369, links with the Orthodox Slavs were further weakened, while their political and religious orientation with Catholic Albanians strengthened. As a result of these links in the 70’s the Balshas began to extend their state to the South,…reaching the line Vlora-Berat-Kostur while retreating within Tivar-Podgorica-Prizren line41. In this manner his state assumed gradually the character of a Catholic Albanian community. Consequently the title of the Balsha rulers changed from Lord of Zeta, Dei Gratia dominus Zetae, to rulers of Albenia-Gjergj II Balsha “Lord of Albania” Arbanskim Gospodinum “Prince of Arbenia” Princeps Albaniea.42 Thus, the name Albanum, Albania applied only to the Albanian and Catholic regions, and not to the territories inahabited by Albanians and Orthodox Serbs included in their state. As concerns the Albanians outside the quadrant, an important aspect to this theme would be to clarify the ethnic character of the Ancient Epirus. It is not necessary to repeat that in XV the name Epiriots referred at times to Albanians regardless of their religion, at times only to the Orthodox Albanians, and in all cases to the Albanians who lived in Epirus. To clarify the ethnicity of inhabitants of Ancient Epirus, we will refer directly to the Greek-Byzantine writers and chroniclers, who incidentally never used the name Epiriotes. While describing the events happening in the territory of Epirus in the first half of the XIV century, J. Kantakuzenos, calls the inhabitants of the regions of Berat, Kanina, Kolonja, Pogoni, and Libisda Albanites44. From the Chronicle of Ioannina we learn that the Mazaraki were the inhabitants of the territory of Permet, the Zenevisi the inhabitants of Dropull and Delvina, the Malakasi the inhabitants of Malakia, in the vicinity of Ioannina45, and according to the general opinion of the historians they were all Albanians. 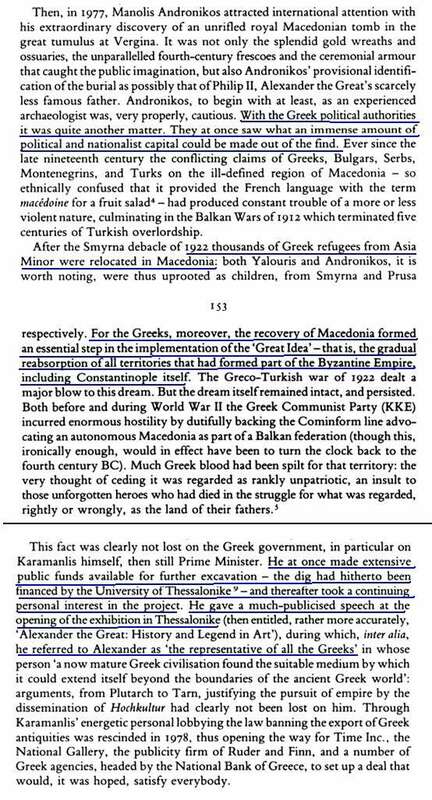 That the coastal regions of the Ionian Sea were inhabited by Albanians is made clear by Christoboulos46 and is implied by Chalcocondylas.47 The presence of Albanians in the eastern regions of Ancient Epirus is proved by the fact that in 1330 they defeated a detachment of Catalans who had passed the Pindus mountains and plundered Epirus48 in Kardhiq of Ioannina. From information provided by J. Kantakuzenos49 and Chronicle of Ioannina50 it could be concluded that the inhabitants of Ancient Epirus were Albanian in a overwhelming majority, as G. Hahn was right to notice.51 Additional support for this is provided by the fact that the Albanian state formations which were set up in the territory of Epirus during the second half of the XIV century and especially, the existence for a long time of Albanian Despotate of Gjin Bua Shpata which was dismantled only by the Ottoman invaders. This proves, in one hand, that the Albanians, who were the ethnic representatives of the state formations in the struggle against the Greek and Serb invaders, constituted the bulk of the population of Ancient Epirus; and on the other hand, the political-linguistic community formed by these state formations explains why the Albanians of Epirus come out under their ethnic name in historic sources of this period and not previously. This ethnic composition explains why the geographic name Epirus was to have an ethnic Albanian connotation for most writers and chancellors. As was indicated, two ethnic-geographical denominations were being used for the Albanian inhabited areas: Arbenia and Epirus… the phenomenon was reflected in four tendencies. The first was the tendency to generalize the name Epirus for the entire Albanian inhabited areas, as indicated by Barleti’s works52. The second tendency was to use Arbenia for the northern section and Epirus for the southern part with Shkumbini river as separating line, as is seen in Gjon Muzaka53. The third tendency was to identify Arberia with Epirus in order to give the two names the same geographic extension, presenting thus, the Albenian territories with a double name: Arbenia or Epirus, Albania sive Epiro in Theodor Spandugino54. The latter tendency was an attempt at extending the name of Arbenia beyond its historical (not ethnic) borders by gradually eliminating the name Epirus. This tendency is discernable as early as XV among the Ottoman Turks who included the territories from Cameria to the Mat River in the “Arbanite Sandjak”, Sancak I Arvanid or Sancaki Arvanud, which they formed in 143155, and later more clearly in an anonymous description of the XVI century which says that “the country which is called Arbenia today and which was called Macedonia and Epirus in former times extends from the Kotor Straits to the south”. This tendency basically took hold with the foreigners, while Albanians themselves took on another name, Shqiptar, and their territories they called Shqiperi. 1 M. Attaleiates (ed Bonn 1853, p. 9.9; 18, 17; 297, 21. 2 M. Attaleiates, p. 9.9. 3 M. Attaleiates, p. 297, 21, J. Skylitzes (in G. Kedrenos, es. Bonn 1839), II, p. 739.9. 4 Anna Comnena (ed. Leipzig 1884 IV, p.8; VI, p. 7. 5 Anna Comnena, IV, p. 8; VI, p. 7. 6 AAIB, I, p. 48. 7H. Gelzer, Ungedruckte und wenig bekannte Bistumer der Orientalische Kirche, in Byzantinische Zeitschrift, Erster Bandf, II Heit, Leipzig 1892. 7 AAlb, I, p. 116. 8 AAlb, I, p. 93. 9 S. Novakovic, Zakonski Spomenici, Beograd, 1912, p. 384. 10 G. Akropolites (ed. Leipzig 1903), XIV, p. 28. 11 AAlb, I, p. 349. 12 AAlb, I, p. 330, 332, 334. 13 Ch. Kohler, Recueil des historiens des Croiades, Paris 1906, vol. II, p. 487. 14 V. Tapkova-Zaimova, L’idee byzantine de l’unite du monde et l’Etat Bulgare, in “Resumes des Communications Ier CongresInt. Et. Du S.E. Europeen”, Sofia 1966, p. 228. 15 G. Pachymeres (ed. Bonn), vol. 7. 16 G. Pachymeres VI, p. 32. 17 J. Radonic, Gjuragj Kastrioti-Skanderbeg, Beograd 1942, p. 129. 18 M. Shufflay, Die Kirchenzustande im vorturkischen Albanien, in “Illyr. – Alb. Forschunen”, p. 190. 19 N. Gregoras (ed. Bonn) V, 6; XI, 6. 20 J. Kantakuzenos (ed. Bonn) IV, 43. 21 L. Chalcocondylas (in K. Bozhori, The Albanian-Turkish War in the XV Century – Byzantine sources, Tirane 1967, I, pp. 23, 24, 196-198, II, pp. 16, 123, 277, 278. 22 Dukas (in K. Bozhori) XV, 2, XXIII, 8, XLV, 2. 23 G. Sfrantzes (in K. Bozhori) I, 27, 31, IV, 14, 22. 24 Christoboulos of Imbros (in K. Bozhori), I, 14, 74, III, 1, 16. 25 J. Radonic, p. 122. 28 M. Barleti, History of the Life and Deeds of Skanderbeg, Tirana 19, 1964, p. 92. 29 M. Barleti, p. 65, 73. 30 Ibidem, p. 142, 153. 31 Ibidem, p. 55, 56, 60, 75, 77, etc. 33 M. Barleti, p. 468. 34 G. Musachio (in Ch. Hopf, Chroniques greco-romaines, Berlin, 1873), pp. 273-274, 280. 35 G. Musachio, p. 278, 279. 36 L. Thalloczy – K. Jirecek, Zwei Urkunden, 129; M. Shufflay, Serbs, 40. 37 J. Radovic, p. 227. 38 F. Fermendin (in F. Noli, George Castriot Scanderbeg, New York 1947), p. 153. 39 B. Krekic, Dubrovnik (Raguse) et le Levant au Moyen Age, Paris 1961, p. 229. Gjon Muzaka provides us with almost the same information according to which the mountains of perister in the vicinity of Kostur formed the frontier between Arberia and Bulgaria: un loco nomine la montagna de peristeri…la se devide l’Albania della Bulgaria (G. Musachio; p. 281). 40 L. Thaloczy – K. Jirecek, Zwei Urkunden aus Nordalbanien; M. Shufflay, Die Grenzen Albaniens im Mittelalter. 41 G. Gelcich, La Zedda e la dinastia dei Balsidi, Spalato 1899, pp. 81-84, 108-135. 42 Jugoslovenska Enciklopedia vol. 1, p. 154. 43 J. G. Hahn, p. 212, 311; Stadmuller, pp. 29-30, 173. 44 J. Kantakuzenos, I, 55; II, 20, 32, III, 1, 12. 45 Chronicle of Ioannina (in K. Bozhori) p. 23, 25. 46 Chrisobulls of Imbros III, 16, 1. 47 L. Chalcocondylas, II, 95. 48 J. Ph. Fallmerayer, Das Albanesische Element in Griechenland, I, Munchen 1860, p. 254. 49 J. Kantakuzenos, IV, 43. 50 Chronicle of Ioannina, p. 4, 23, 25, 35, 38. 51 J. G. Hahn: Albanesche Studien, p. 318. 52 M. Barleti, History: Danja and Zhabja in Epirus (p. 91), Kruja – the heart of Albania (p. 96), Kruja in Epirus (p. 475), while Berat only in Epirus (p. 302). 53 G. Musacchio, p. 278. 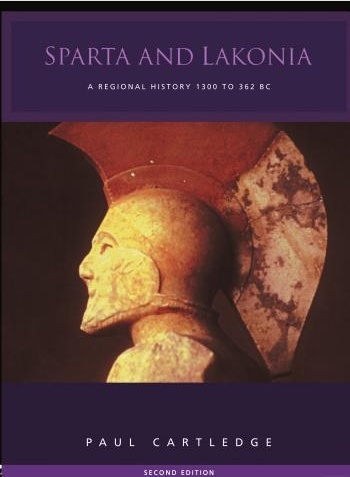 According to him, Epirus in Albanian was “Pylloria”, Epiro che in lingua Albanese se dice Pylloria (p. 278). 54 C. N. Sathas, Documents inedits relatives a l’histoire de la Grece au Moyen Age, vol. IX (Paris 1890), p. 363. 55 H. Inalcik, Hicri 835 Tarihli Suret-I Defteri-I Sancak-I Arvanid, Ankara 1954. 56 S. Novakovic, p. 620. 58 M. Shufflay, Die Kirchenzustande, p. 233; S. Novakovic; pp. 682-701. 59 AAlb. I, p. 746, 798. 60 L. Thalloczy, K. Jirecek, Zwei Urkunden, p. 126; M. Shufflay, Serbs, p. 35, Biologie, p. 3. Wikipedia’s articles on the history of Epirus contradict historical evidence which speak for an Albanian identity of Epirus throughout ages. The ethnological characteristics of Epirus are contradistinctive to those of the neighboring Greece. Sh. Delvina responds to the articles in Wikipedia which were written with the intent of altering the historic identity of Epirus. 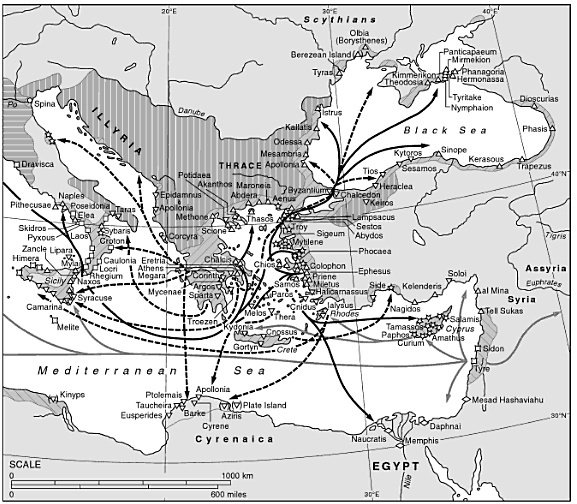 "On the other hand, Thucydides (1.47.3, 5o-3) and Strabo (7.7.1) call the Epirotes barbaroi: only two of Thucydides' (2.80) northern chieftains have Greek names and many Epirote tribes did not speak Greek (Strabo 7.7.1) and even enjoyed..."
"My own view — for what it is worth — is that of the three big Epirot tribes the Chaones were definitely non-Greek (their name appears again in the form Chones among the Iapygians of Apulia who appear to have been allied to the Illyrians "
Any descendants of the Thracians who still survive are to be found among the Roumanians, while Albanians represent the Illyrians and Epirotes. The Epirotes stood in much the same relation to the Illyrians as the Macedonians stood to the Thracians. (…) As to the Thracian and the Illyrian languages, a general but vague idea can be formed of them by the help of modern Albanese, whence Dalmatia has been explained to mean ‘shpehard land”, Skodra, “hill”; Bora, “snow” (a mountain in Macedonia); Bessi, “the faithful” (originally the name of priests); Dardania, “land of pears,” etc.